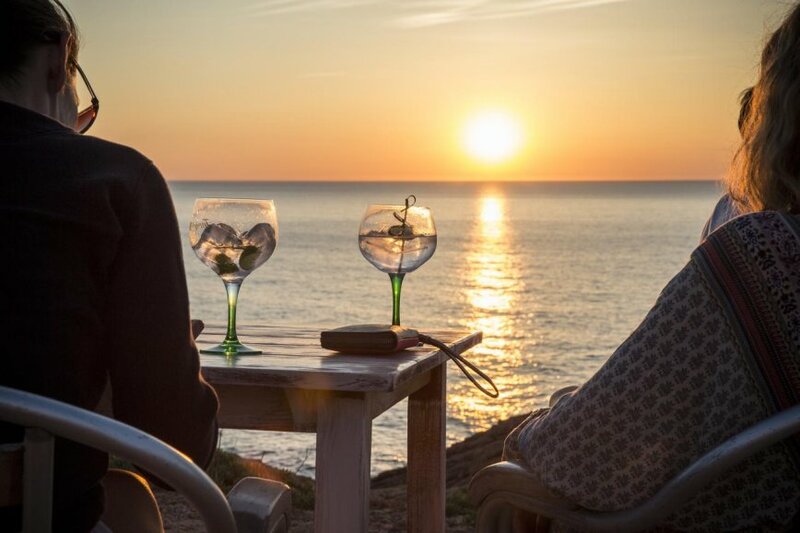 The Sunset-Watching is a local experience that takes its roots from the 60s, when the hippies used to gather and watch the sun disappearing in the sea, breathing the spirituality of the island. 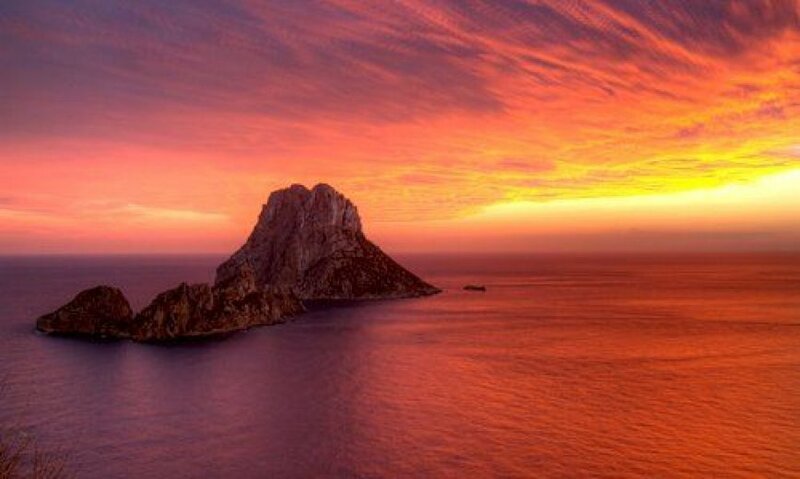 Whether you are a Professional Sunset Catcher equipped with your big camera and multiple lenses or an Occasional Sunset Watcher who does not really understand why people consider the nightfall so special, we recommend some of our favorites sunset spots – you will not regret it. The Hacienda Na Xamena has re-opened its lounge on the Restaurant upper terrace. 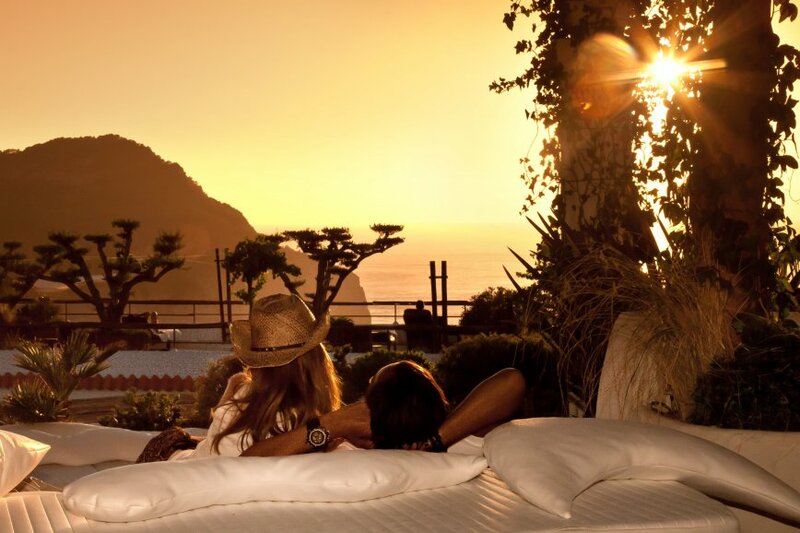 Stretching out on a comfortable sofa you can enjoy drinks & tapas with Sunset packs for 25€ per person. Moreover, on Thursday, Friday, Saturday and Sunday evening during the summer we propose live music! 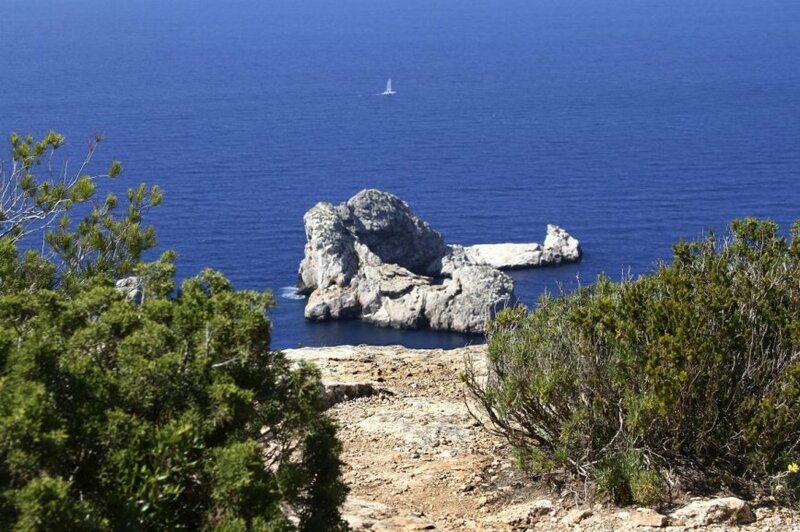 This remote cliff next to Santa Agnès village is, as its name says, the Gate to Heaven. Perfect place to stop after a walk in the authentic island countryside. On this narrow city walk along the sea there is a collection of bars with uninterrupted views across the Mediterranean where the sun descends each evening. 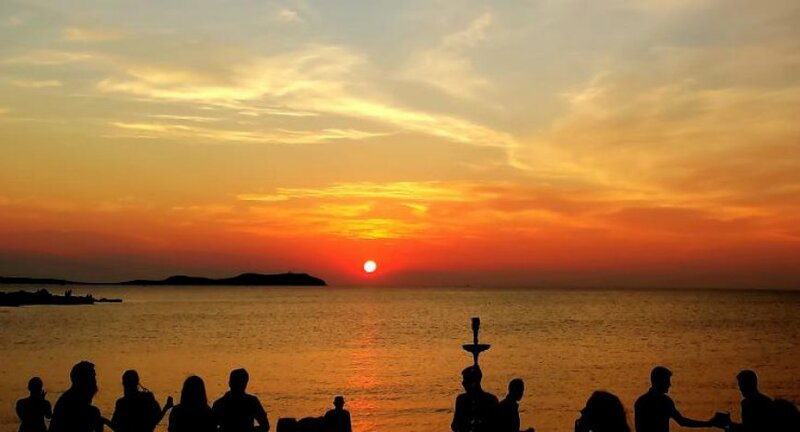 Top flight DJs and pre parties are often held here, don’t forget to ask our Guest Relations Team to book your table in some of the most famous bars of the strip, such as Cafe Mambo. Time and Space is a impressive monument created by Andrew Rogers as part of his series Rhytms of Life and commissioned by Guy Laliberté, the owner of the Cirque du soleil, a fan of the White Island. 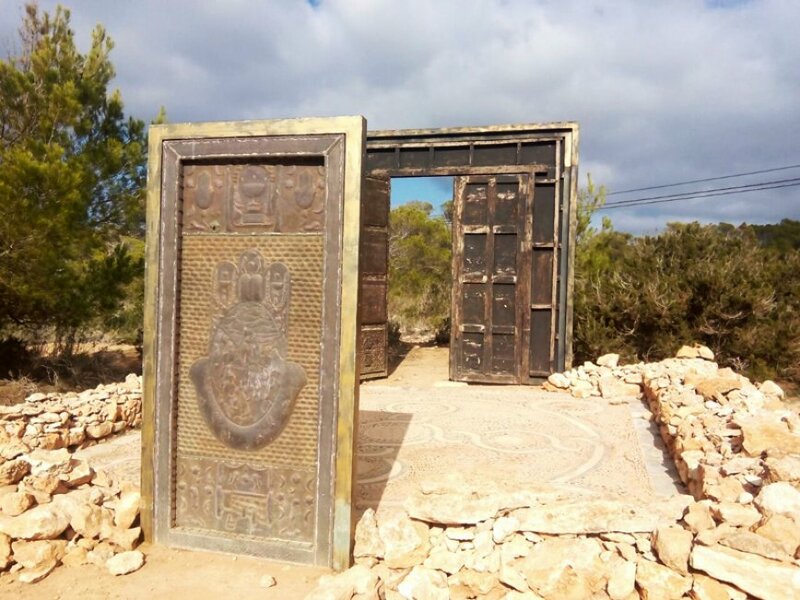 Not far in the middle of the countryside you may find 2 strange and full of symbols doors, opening you the way to…the island. Powerful and spiritual. A metal door with the hand of Fatima and a carved wood door. 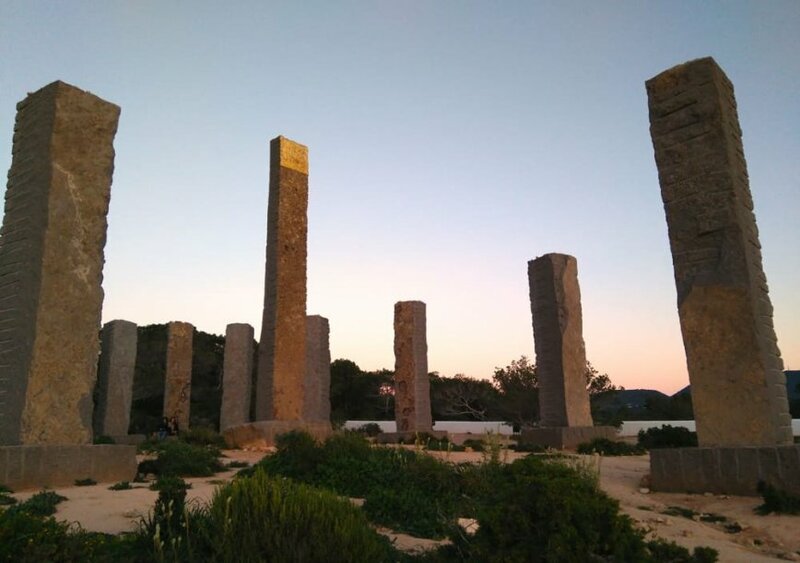 12 huge basalt columns with a larger central one standing at over 20m tall, topped with 23 carat gold leaf. Sport & Sea are a great combination! 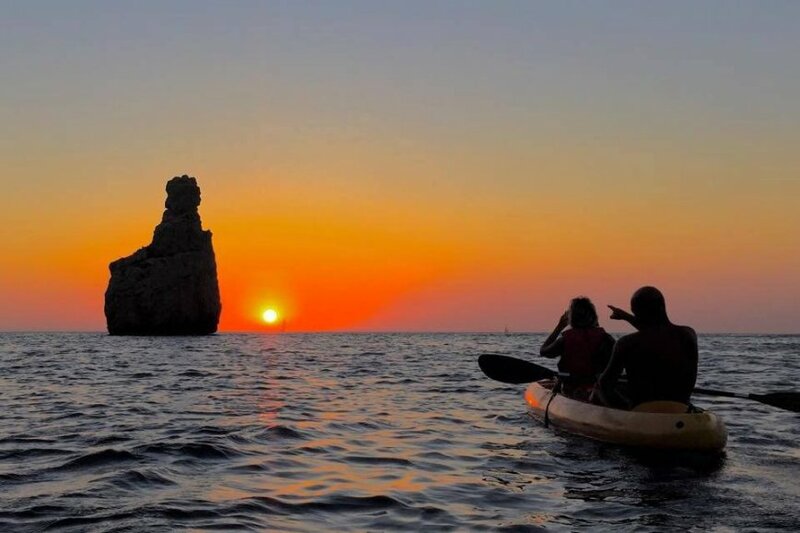 For those who can’t just sit and watch, this is the perfect solution: row and enjoy the changing lights of this famous spot at Benirrás Beach from the sea. Ideal for those who aspire to listen to the hippie drums without being into the crowd!